I have appreciated each of the Nooma videos I’ve seen, so I was excited when Flannel, the group that produced them, invited me to purchase their first dvd from the new BASIC series. I had also heard a lot about Francis Chan, who is doing this series. Last week my team and I sat down together and watched it. Ok, three of us laid on big beanbags, but we still watched it. Like the Noomas, the production values of this dvd are high. It is encouraging that a Christian group strives for quality. Chan starts in on fearing God from a place he and I share; modern American Christianity has domesticated God. Our God tends to be nice, loving, and warm. What, then, of the scriptural understanding of fearing God? These days, in many churches, Chan asserts (and he is right), the fear of God is defined in terms of proper awe or respect. God loves us too much to want is to actually be afraid, the argument goes. Chan challenges this notion, most effectively by telling Isaiah’s story (chapter 6) of his vision of standing in the throneroom of God. Isaiah rightly (and we should too, rightly) fear the awesome power and might of God. As soon as Isaiah expresses fear and his own unworthiness, though, God tells him to fear not and sends a seraph to cleanse him. If God wants us to fear Him, why are His angels always beginning their earthly visits with “fear not!”? Here’s my take, Francis, do with it what you will: I don’t believe God wants us to fear Him. I do believe that if or when we get close enough to the God of the Bible to get even a snippet, a bit, or a glimpse of God’s reality, our natural, human reaction is fear. Not just awe and respect fear, but real live “am I going to live through this” fear. But this is more honest appraisal of God’s awe-someness than it is what God wants or intends. If God wanted us to fear, I don’t think “fear not” would occur so regularly with God’s presence. I haven’t seen this video so I can’t comment on it directly. It’d be helpful if you’d take “fear” apart a bit more, since there are so many varieties & components. If you’re saying, “we don’t need to fear that God is capricious, ready to strike us dead for no reason at any time, just on a whim,” then, yes, I think you’re reading the scripture and Christian tradition rightly. 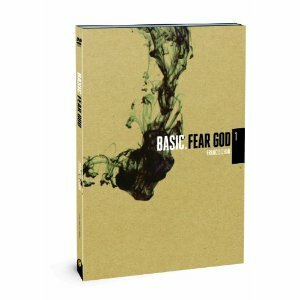 But I wonder what part of your case, what specification fear, would cause Francis Chan to argue with you. I also haven’t seen the Basic video yet. Having seen Chan speak on a number of occasions though his stance doesn’t necessarily shock me. I think he offers a good challenging voice in the midst of densely padded theology of timidity. Good question, Dave. I’ll go with even a glimpse of the reality of God is enough of an encounter to evoke a reaction of fear. If John Wesley wants us to stay in love with God, I’m not sure I can do that If I fear God. As a lay person – I could be living in my own little sunshine world – but how can I love God if I fear God? From your previous post – if we are to be reflections of God- is our message fear or love? Interesting to contemplate. As R says — perhaps my understanding of fear is the issue. Thanks for your blog–FAV!